Kim Frank Fujiwara of Rochester Hills, Michigan was a finalist in the MI Great Artist competition in 2012, 2013, and 2014. Despite those close calls, he never gave up hope to one day take home the big prize. Fast forward to the 2018 competition. Fujiwara, once again a finalist, was attending his fourth ceremony when something unexpected happened—he won. As his name was announced as the winner, a singular thought crossed his mind. “Persistence pays off,” Fujiwara said with a smile. 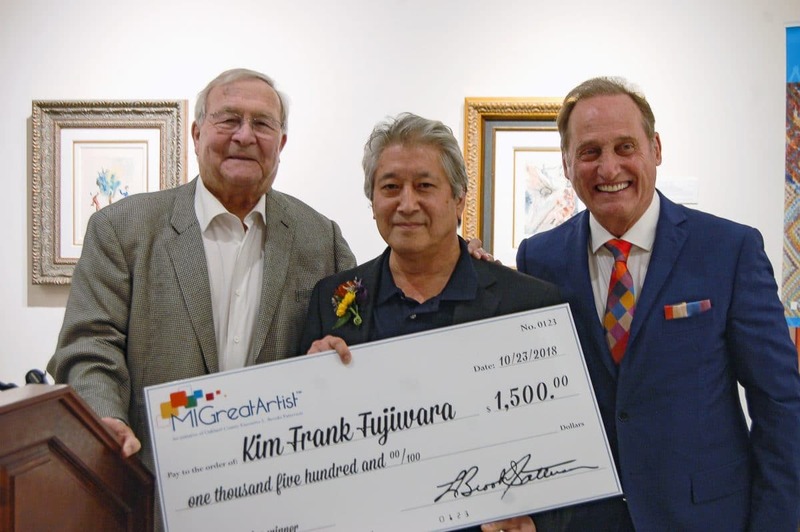 Fujiwara was named as the winner of the 2018 MI Great Artist competition during an award ceremony held October 23 at Park West Gallery in Southfield, Michigan. 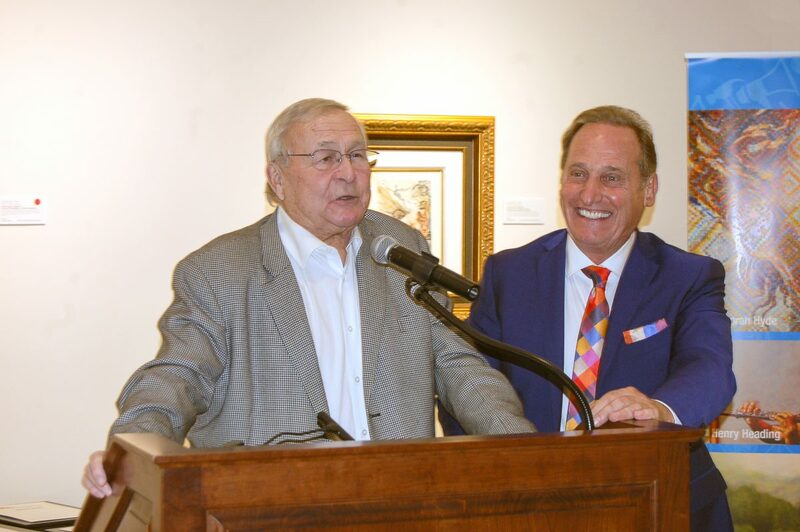 Michigan’s Oakland County and Park West Gallery began the MI Great Artist competition in 2012 as a way to showcase the diverse artistic talent found throughout Southeast Michigan. This year’s competition saw 209 entrants, which was narrowed down to 35 semifinalists by public voting. The top five finalists were determined by a panel of expert judges. At the award ceremony, Oakland County Executive L. Brooks Patterson said the competition was remarkably close this year, with the finest of details being examined by the judges to determine a winner. Park West Gallery Founder and CEO Albert Scaglione echoed this sentiment, saying he was “extremely taken” by the quality of the art. He commended the artists for their unique voices and for being brave enough to put their work in front of the public. 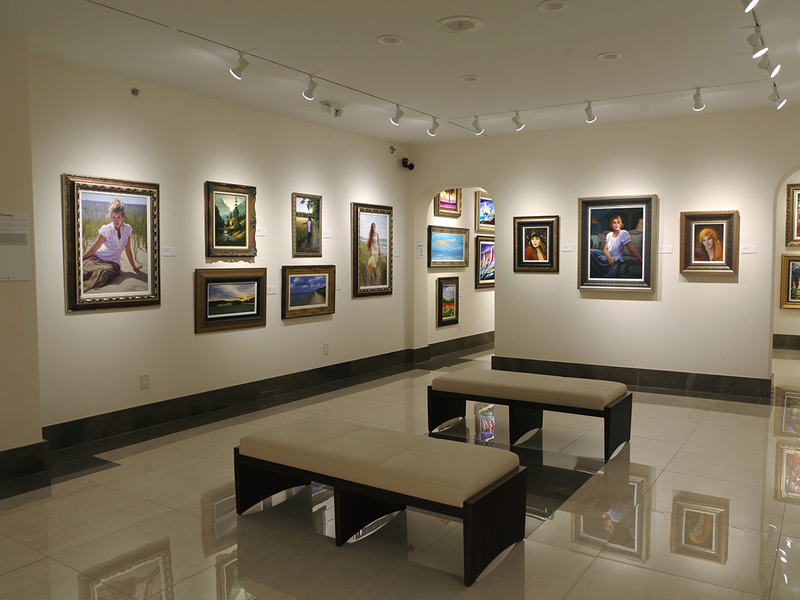 Fujiwara has been a professional artist for 40 years, specializing in figurative art, portraits, and commissions. He graduated from the Center for Creative Studies (CCS) in 1979 and served as an instructor teaching illustration at CCS for five years. His art has appeared in national ads, magazine covers, posters, and brochures, and he has earned several Gold and Silver Awards at the Annual Scarab Club Advertising Exhibits held in Detroit. His most recent series, “The American West,” is inspired by the art and culture of the west. 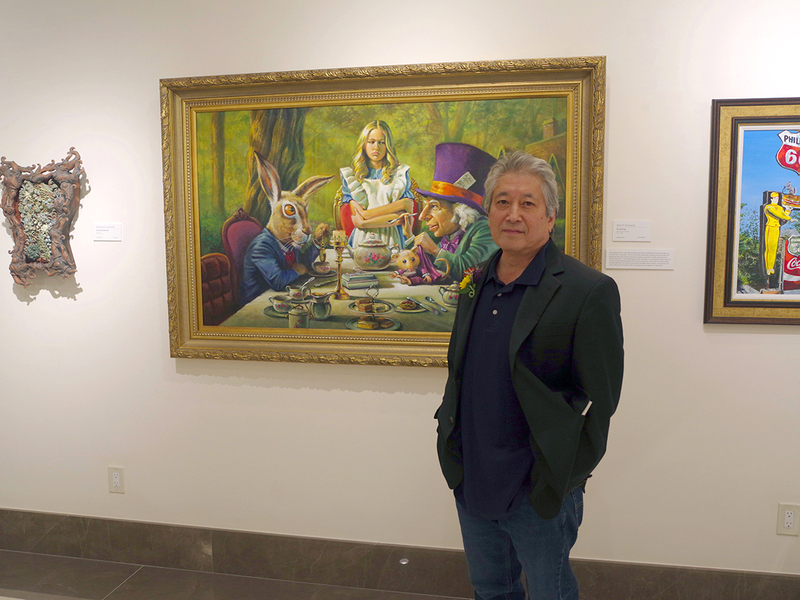 As the winner of MI Great Artist, Fujiwara earned $5,000 in prizes, including a $1,500 cash prize, framing of his five submitted artworks, and scholarships to Oakland County’s One Stop Shop Business Center. He will also have his artwork featured on a poster for a future Oakland County event and have a solo exhibition at Park West Gallery. Fujiwara thanked the finalists and everyone else who entered the competition, saying he has always encouraged people to create. “I love art and I love anybody who does art,” Fujiwara says. “It’s healthy, it’s therapeutic, it keeps your blood pressure down, and it keeps your dreams going. Among the finalists was Thomas Bos of White Lake, who earned the competition’s first-ever “People Choice” award for receiving the most votes during the public voting period. He received $3,300 in prizes, including a $750 cash prize and framing of his five submitted works. A self-taught photographer of five years, Bos expressed his gratitude to everyone who supported him during the competition. 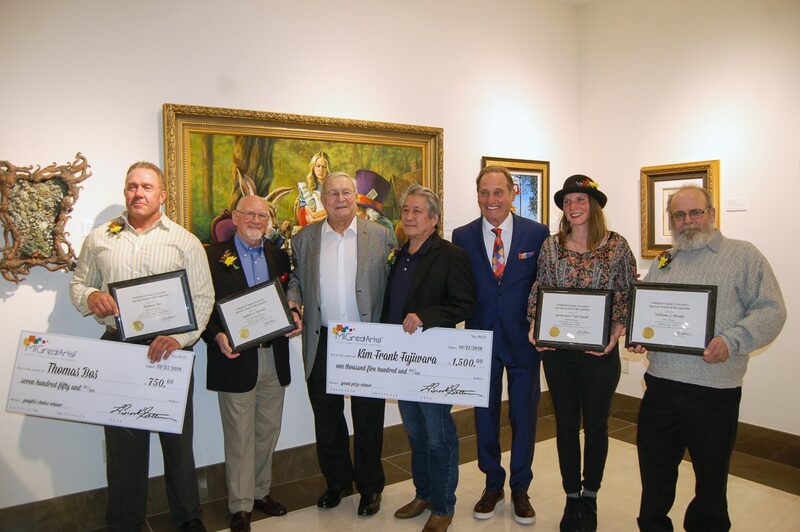 The three runners-up each receive a $375 cash prize, framing of their five submitted artworks, and scholarships to Oakland County’s One Stop Shop Business Center. This year’s runners-up were William Brody of Holly, Robert J. Tyrrell of Grosse Pointe Farms, and Genevieve Van Zandt of Brighton. 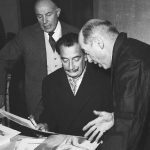 MI Great Artist has not only provided exposure to artists, it has also helped elevate their careers. Pat McManus, a 2014 finalist, is now represented by Park West Gallery. Most recently, 2017 winner Thomas Tunney joined the Park West Gallery family of artists as well. 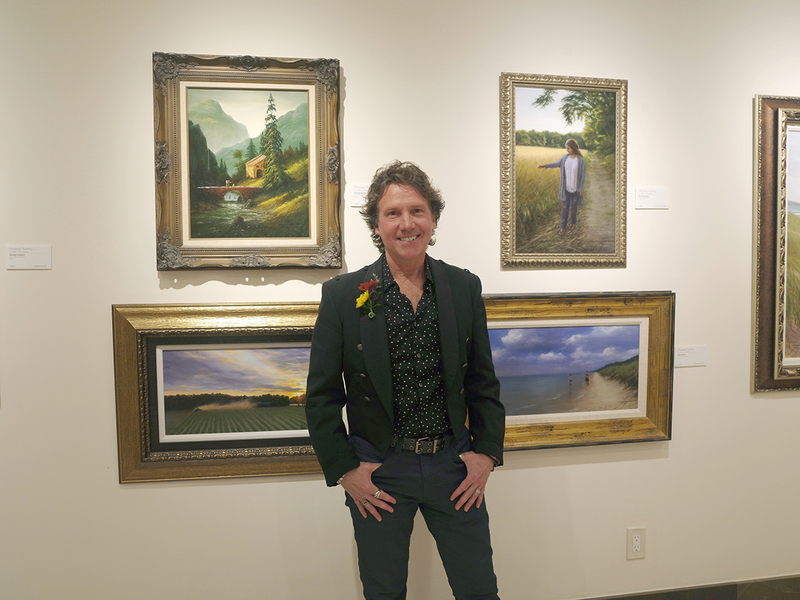 Tunney, who paints figures and landscapes in a blend of Impressionist and realist styles, says he looks forward to having his art seen around the world at Park West auctions. “It’s such a beautiful gallery and everything is run so nice, so it’s an honor to work with them,” Tunney says. 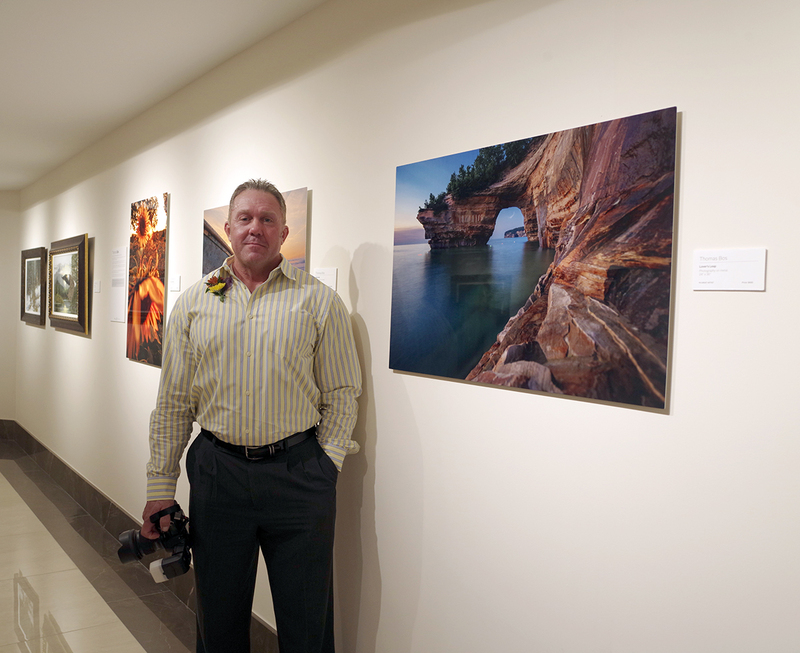 A solo exhibition of Tunney’s art and a group exhibition of the 2018 MI Great Artist finalists are currently on display at Park West Gallery until October 30. 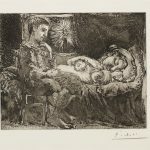 Admission to Park West Gallery is free to the public. Park West Gallery (and the free Park West Museum contained within) is located at 29469 Northwestern Highway in Southfield, Michigan. Hours are 10 a.m. to 6 p.m. Monday-Saturday and 11 a.m. to 5 p.m. Sundays. When and where can we purchase art by Mr Fujiwara?